This is a little late for a potential Thanksgiving recipe, but it’s definitely fit for the holidays! I LOVE all things almond- from soaps to Swedish princess cakes to marzipan straight from the tube. I filtered through way too many recipes for this- I really wanted a cake like the ones from the bakery down the street. Cake that’s so dense and intensely almond you have to serve it in thin slices to avoid overdoing it. The recipe is loosely based off the one in Silver Spoon (my latest obsession). I added cranberries because duh, Thanksgiving. I also drizzled some orange and vanilla glaze over the top and decorated with some candied oranges. 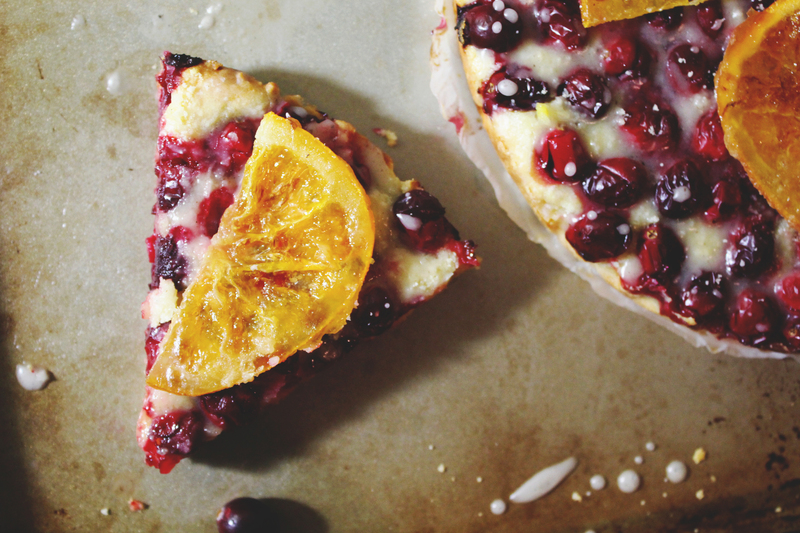 It’s dense and moist, not too sweet, and the cranberries added an element of tart contrast with every bite. 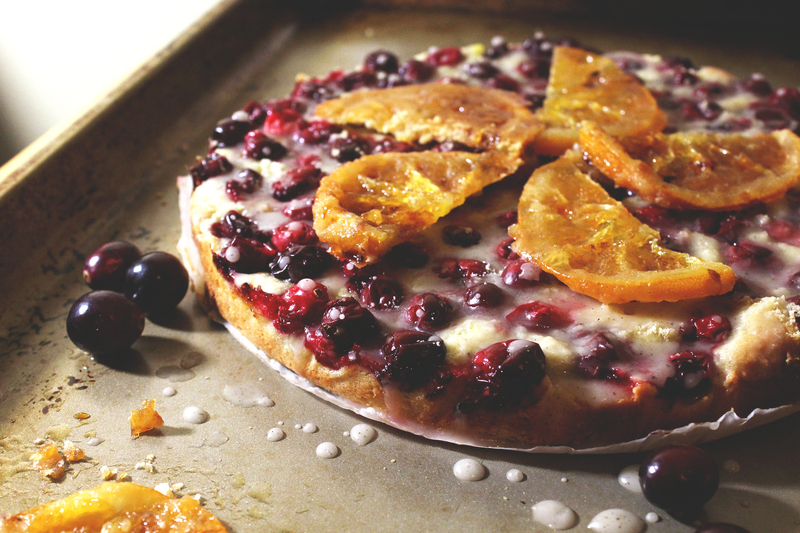 The cake is even pretty without the glaze and candied oranges. This cake is not difficult at all and the results are both stunning and satisfying. I hope you try making this one and sharing it with your loved ones! This recipe yields just enough batter for a cake on the thinner side when using a 9-inch cake round. Prep is easy and bake time is around 40 minutes. Preheat oven to 350 degrees Fahrenheit. Grease sides of the pan with some extra butter, then sprinkle some almond meal over it. Cut and place parchment paper to fit the bottom of the pan. Whisk together sugar, yolks, orange juice and zest until fully incorporated and the mixture is a light yellow color. Mix in butter, then fold in both flours until just mixed. It will be really thick, and not at all runny like most cake batter. 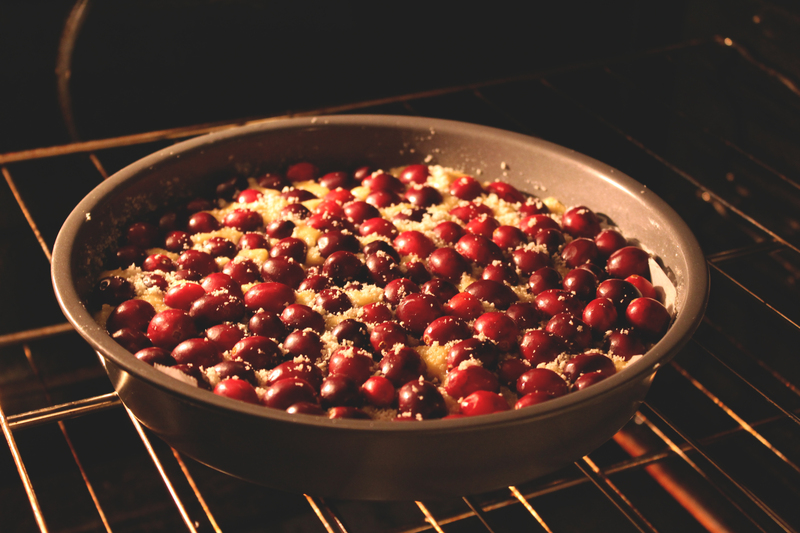 Spread the batter evenly into your cake pan, and place the cranberries over the top so it looks like the picture below. 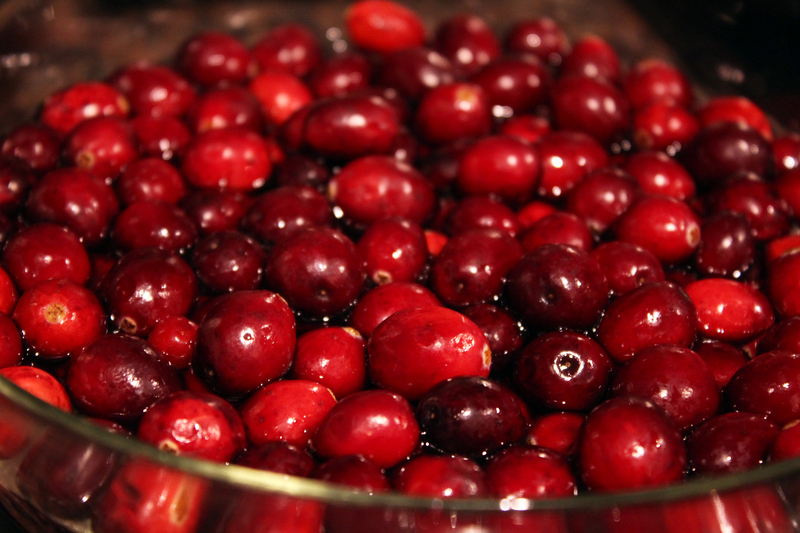 Gently push the cranberries into the batter so they’re about halfway submerged. Then bake in the oven for about 40 minutes. Remove from the oven, let the pan cool. Carefully remove your cake from the pan. Tada! It’s pretty all on it’s own too. This is the easiest part- just mix everything together for the glaze and drizzle over your cake while it’s still warm. This really only makes enough for about 4 good slices. Multiply the quantities if you want more than what I used to decorate or if you need a few backup slices. I’d never made these before, but they weren’t difficult- they just require a bit of attention to ensure your orange slices don’t burn! Cut orange down the center, then thinly slice 2-3 slices from each half. Add sugar to the pan, and squeeze the juice out of the end pieces and into the sugar. 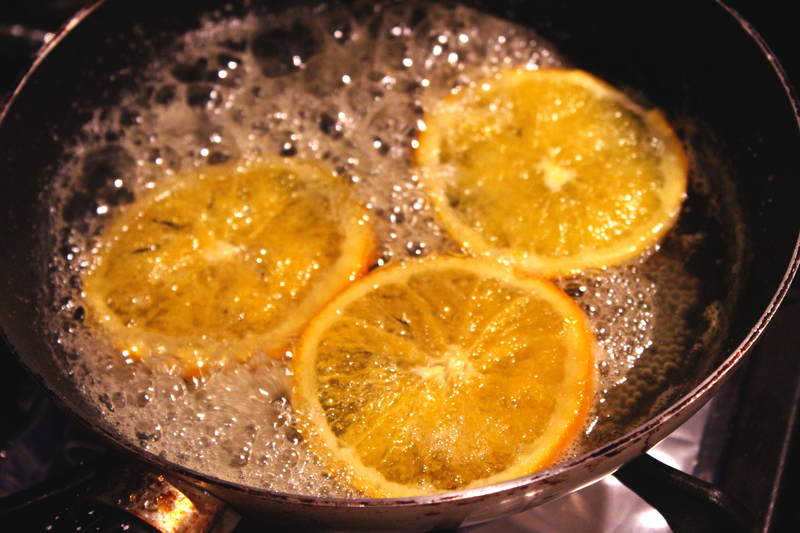 Simmer over medium heat on the stove, until it starts to bubble, then add orange slices. Cook over medium-high heat, nudging the pieces around a bit so the sugar doesn’t burn, until the pieces look somewhat translucent. Remove and let cool on a sheet of parchment paper. And there you go! 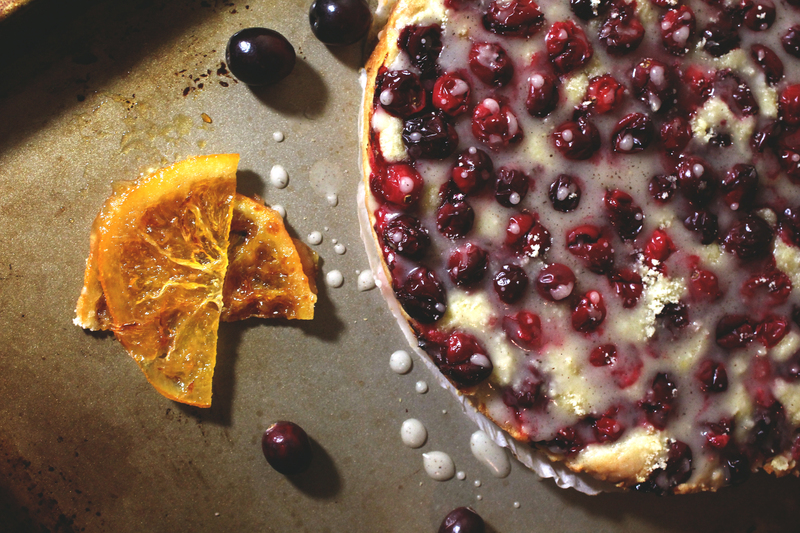 An equally beautiful and delicious cake perfect for sharing during the holidays. Or any day, really. 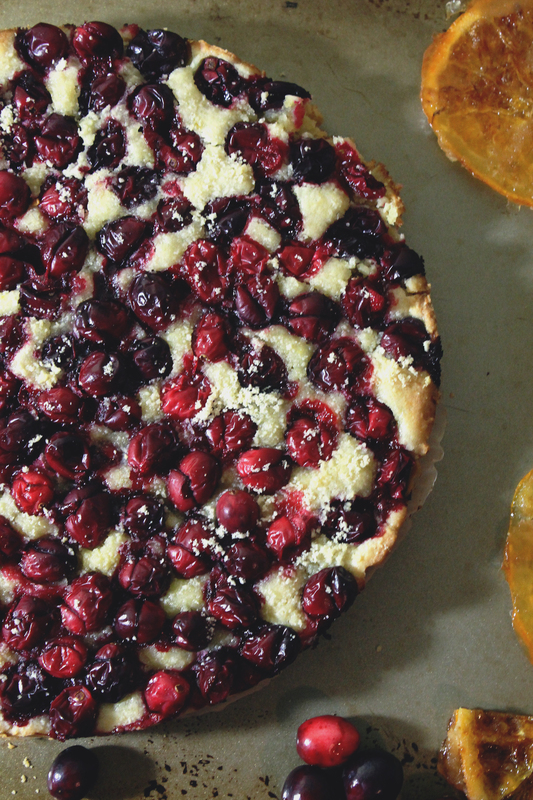 Happy baking, and Happy Thanksgiving! Nice, I’m sure it has a very good fragrance! This cake is absolutely gorgeous! 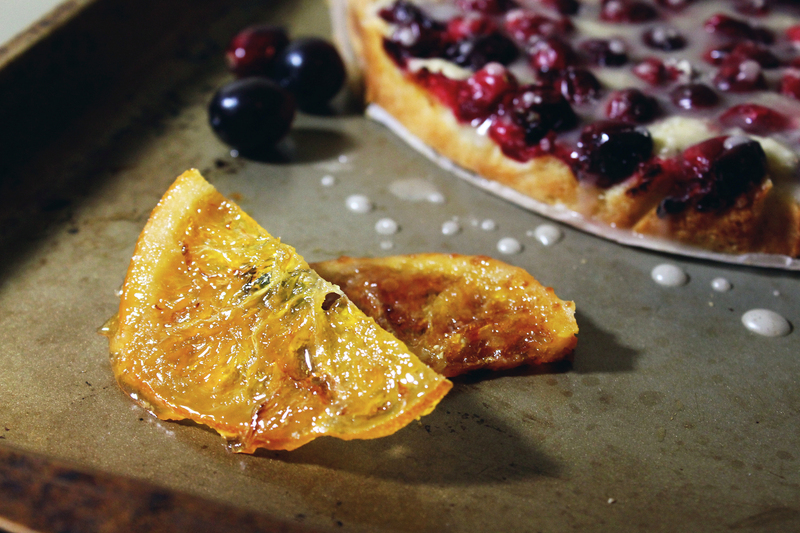 The addition of candied oranges really gives it that final flourish! Love the idea! Thank you! The candied oranges really are a nice garnish to play around with for that added pop of color! Your photos are beautiful, and this looks so delicious! 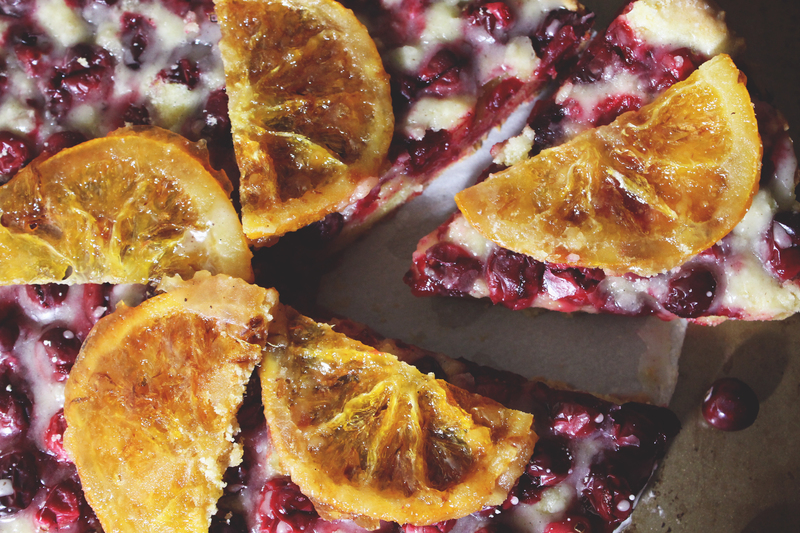 Cranberry and orange do go very well together! This looks fantastic! 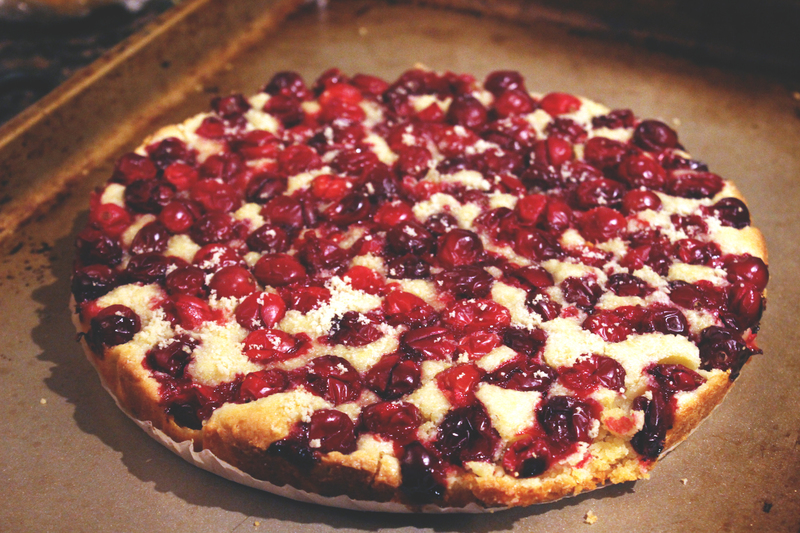 Awesome use for cranberries!